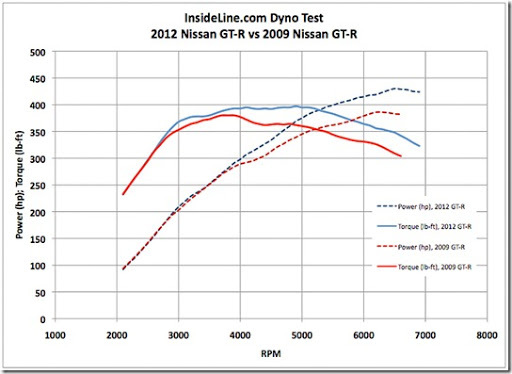 Ben Linney from GTC posted a comparison of the intake cam timing of the CBA(2009) Nissan GT-R to a DBA(2012). If you look at the pictures below you will see a lot more cam advance in the mid range, and even a little less advance near the top of the range. 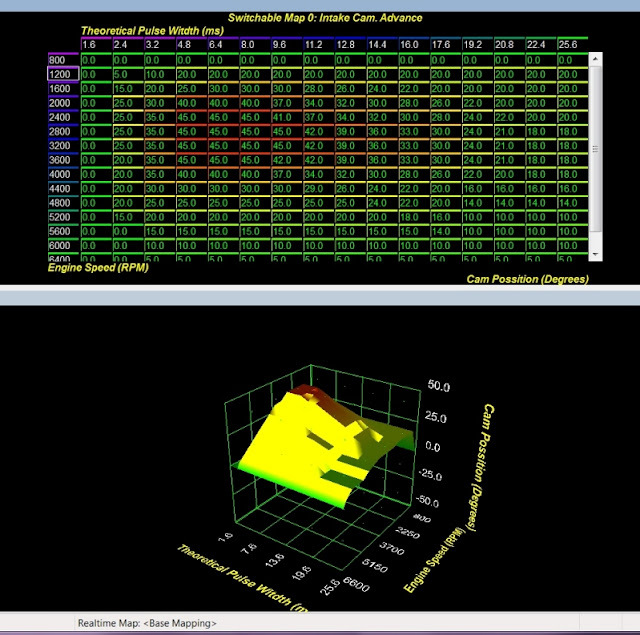 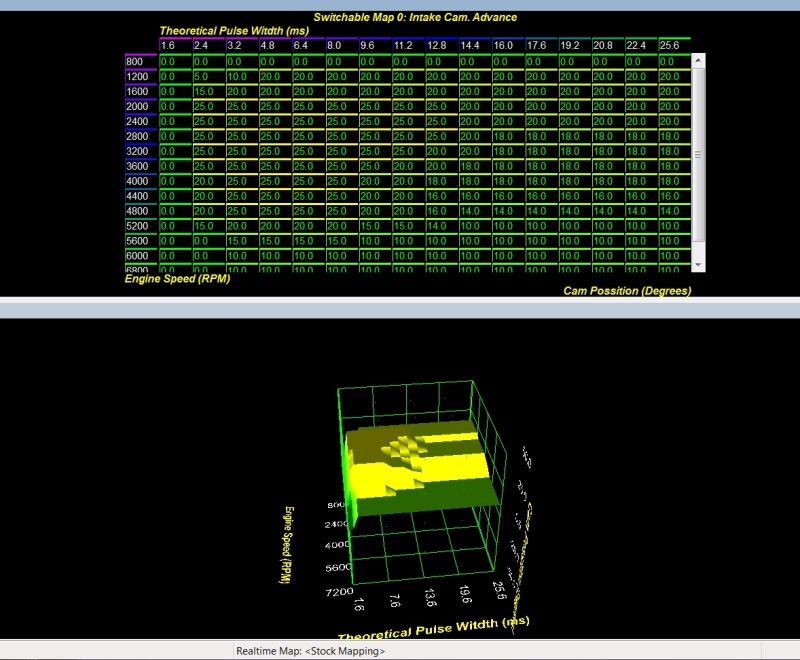 Inside Line dyno tested a 2009 vs a 2012 and the chart shows a bit more midrange power at the same amount of boost. Head over to Inside Line for the full analysis of the two cars, and to NAGTROC for some more information from GTC.